Olxam » ISRO » ISRO Scientist / Engineer 2019 Final Answer Key Out. Download Now! “Where one can find isro scientists/engineers 2019 exam answer key ? What is the date of release of isro scientists/engineers 2019 exam answer key ? 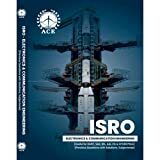 ISRO Scientist / Engineer 2019 Answer Key – Candidates who are searching for ISRO Scientists/Engineers 2019 exam answer key follow the below link to download ISRO Scientists/Engineers 2019 exam answer key of Electronics Engineering, Mechanical Engineering, Civil Engineering, Electrical Engineering, Refrigeration & air-conditioning, Architecture Engineering and Computer Science Engineering in PDF format. ISRO Scientists/Engineers 2019 exam was conducted on 10 March, 2019 and the answer key was released on 12 April, 2019. Objections, if any, should be sent online only, the link for which will be provided shortly. Objections, in any other form will not be accepted. Candidates are requested to visit the website time to time, for updates regarding the link for raising objections.